VECT-HORUS is a biotechnology company founded in 2005 by Alexandre Tokay, CEO, and Dr. Michel Khrestchatisky, Scientific Counsel. The Company develops inventions and technologies derived from the BBB and Neuroinflammation Team in the Institute of NeuroPhysiopathology (INP-UMR7051) directed by Dr. Michel Khrestchatisky. VECT-HORUS has established a long-term highly efficient collaboration with the BBB and Neuroinflammation Team and is now member of the INP in the context of a “Laboratoire Commun de Recherche (LCR)” as the basis for a solid academic-industry partnership. VECT-HORUS has also interactions with other academic laboratories in Marseille (INT, CERIMED, CRCM, ICR etc. ), and Paris region (CEA Saclay, Inserm Paris etc.). The company has established a number of research partnerships with biothechnology and pharma companies. With 28 employees, 26 of whom are scientists, VECT-HORUS develops its expertise around research platforms including the discovery and chemical optimization of vectors, the development and production of conjugates via chemistry or genetic engineering approaches, in vitro BBB models based on endothelial cells from rodents or human, derived from iPSc, Oncology and Pharmacology. 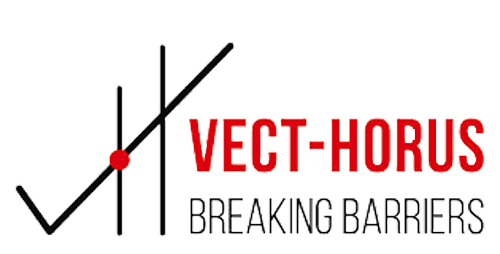 Since its inception, VECT-HORUS has raised over €22 M, including €14 M from private investors and €8 M through various types of public funding (grants and subsidies in collaborative research programs financed by OSEO, FUI, ANR, Research Tax Credit etc.). To learn more, please visit the website of VECT-HORUS. Part of VECT-HORUS’ activities is focused in the area of drug delivery to the brain. Indeed, the brain vascular system is unique in its potential to restrict very effectively the passage of toxic molecules and infectious agents from the blood to the nervous tissue. However, this vascular system also prevents the passage of more than 98% of the drugs developed to date and is known as the "blood-brain barrier” (BBB). The BBB represents a real technological barrier for delivery to the brain of imaging agents and drugs developed to treat serious brain diseases (neurodegenerative diseases, Alzheimer's disease, brain tumours, lysosomal storage diseases etc.). VECT-HORUS’ technology can also be applied for targeting other organs and various tumours outside the CNS. The transport of molecules by receptors (Receptor Mediated Transport or RMT) is considered as an effective and safe way to cross the BBB. VECT-HORUS, in collaboration with the BBB and Neuroinflammation Team of the INP has developed the VECTrans® technology platform, unique in Europe, for the development of “molecular vectors" that facilitate the transport to the brain of drugs or imaging/diagnostic agents via RMT. This technological platform addresses the needs of the pharmaceutical industry, it has the potential to reduce the attrition rate of CNS drugs in development. Therapies for CNS diseases are now considered one of the most promising in terms of growth in sales, and CNS drug delivery technologies should be a major driver for the development of new CNS imaging and therapeutic strategies, in particular those based on biologics. VECT-HORUS and the BBB and Neuroinflammation Team have discovered, validated and optimized several vector families, targeting several receptors with various properties allowing adaptation of the vectorization process on a case-by-case basis. The vectors and resulting drug conjugates are protected by several families of patents and patent applications shared with the CNRS and AMU. Some of these patents have been granted in Europe, in the USA, in Japan, China etc. Vect-Horus announced today the signing of a research collaboration agreement with Janssen Pharmaceuticals, Inc. one of the Janssen Pharmaceutical Companies of Johnson & Johnson. The goal of this collaboration is to use Vect-Horus’ proprietary technology to transport various Janssen monoclonal antibodies to the brain for the treatment of neurodegenerative diseases. This deal was facilitated by Johnson & Johnson Innovation Limited. Vect-Horus has established a long-term highly efficient collaboration with the Institute of NeuroPhysiopathology INP (UMR7051 CNRS-AMU) directed by Dr. Michel KHRESTCHATISKY, cofounder of the company, and this Partnership signed on November 14, 2018 is a cornerstone in the creation of the LABCOM (Common Research Lab) between the INP and Vect-Horus. Use of LDL receptor-targeting peptide vectors for in vitro and in vivo cargo transport across the blood-brain barrier.